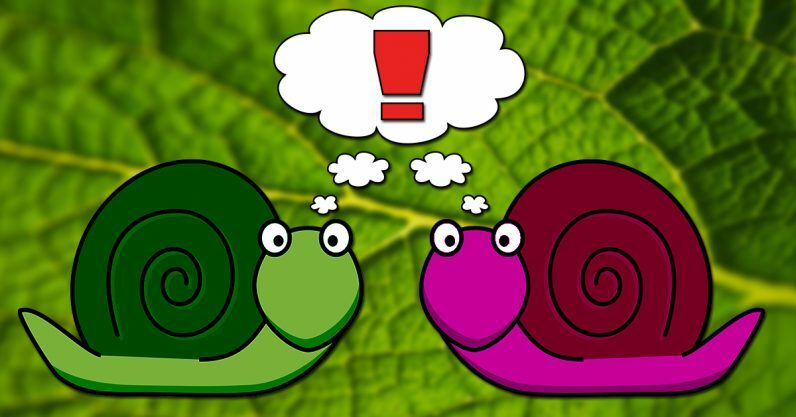 A team of neuroscientists at UCLA yesterday unveiled the results of an experiment involving snail brains that could radically change our understanding of how memories work. That is, if the rest of the scientific community can suspend its disbelief long enough to give the group’s ideas serious consideration. Here, it is demonstrated that the memory for long-term sensitization in the marine mollusk Aplysia can be successfully transferred by injecting RNA from sensitized into naïve animals. Moreover, a specific cellular alteration that underlies sensitization in Aplysia, sensory neuron hyperexcitability, can be reproduced by exposing sensory neurons in vitro to RNA from trained animals. The results provide support for a nonsynaptic, epigenetic model of memory storage in Aplysia. The experiment involved training, or sensitizing, Aplysia by shocking them. When an innocent Aplysia gets an electrical jolt for the first time it retracts its sensitive parts for a few seconds. But after a few shocks, once it becomes sensitized to the situation, the length of time it protects itself increases to minutes. The researchers extracted the RNA of Aplysia which had become sensitized to the treatment and injected it into innocent Aplysia. The results were that the creatures who’d never experienced shock reacted as though they were sensitized when the scientists shocked them for the first time. Glanzman and his team submit that this indicates memories can been transferred through RNA. This, however, stands in opposition to longstanding notions of how brains form memories — through the formation of strong synaptic connections between neurons. Though this study isn’t the first to suggest otherwise. It all started in the 60s when an eccentric professor at the University of Michigan, Dr. James V. McConnell, started grinding up tapeworms and feeding them to other tapeworms. He believed that the recipient cannibal worms would gain the knowledge held by the deceased. Incredibly enough his results indicated he was right. Evidence from his study (and others since) have shown there may be some sort of transference of sensitization between the worms. Unfortunately for McConnell his work was often ridiculed and refuted. Some scientists said his results weren’t reproducible, and others just said he was a quack. This, perhaps, is partially due to his odd sense of humor. McConnell, a man of some wealth, created his own scientific journal called “The Worm Runners Digest.” The digest was a combination of legitimate scientific research and satire. On the one hand it published real papers such as the one that showed the results of his cannibal tapeworm experiment. But on the other it published papers that were meant as jokes, such as one on how strong an evening gown’s shoulder straps are. It was easy for scientists and peers to dismiss McConnell’s work outright. Not only did it raise ethical questions, but the science was so radical that many refused to even consider its merit at all. Plus, his satire showed he wasn’t a very serious scientist — harumph. His work was received so poorly by the scientific community that it became popularized, not for its science, but as a cautionary tale about making outlandish claims. His reputation/infamy became so great that in 1985 a former student at the University of Michigan (who may have never actually crossed paths with McConnell while he was teaching) named Ted Kaczynski – also known as The Unabomber – mailed him a package-bomb which exploded, resulting in injury to McConnell and a research assistant. Experts believe Kaczynski was triggered by McConnell’s claims that people would one day develop their personalities and skills through the ingestion of specialty chemicals. McConnell passed away in 1990, decades before his work would be validated – at least partially. Another neurosurgeon, Michael Levin, continued McConnell’s work with worms and published a paper in 2013 which vindicated many of McConnell’s ideas about how the creatures’ memory works. And that brings us full circle to now where, less than 24 hours after publishing, Glanzman finds his work being dismissed outright by some, despite its incredible implications. So what would it mean if Glanzman’s team is right? If memories aren’t stored in synapses, but instead are contained in the nuclei of certain brain cells, it would theoretically be possible to “package” memories and inject them on demand. At least in worms and snails; most humans have brains far too complex to make any kind of assumptions that this work will be meaningful beyond slimy things. Whether or not McConnell, Levin, and Glanzman were/are pulling the right thread remains to be seen, but how our brains form memories has become one of the longest lingering biological mysteries in science. The fact that we still haven’t figured out how worms and snails manage to remember what little goes on their brains shows we have a long way to go in cracking how memory works. Maybe now is the right time to seriously reconsider theories dismissed over half a century ago.